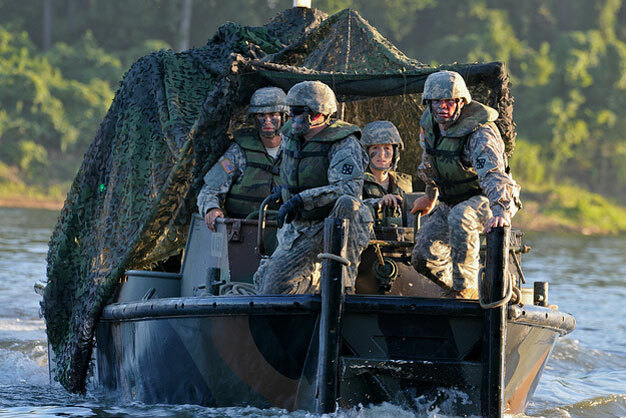 Combat engineers with the 459th Engineer Company from Bridgeport, W.Va. prepare to maneuver sections of an Improved Ribbon Bridge in a Bridge Erection Boat on the Arkansas River at Fort Chaffee, Ark. The floating bridge, which took three hours to complete, was the culmination event during River Assault 2012. Photo by the US Army.